Great car seat constructed better then your own car seat in your car and at a great price. Best UsesKeeping my grandkids safe. So far in the few weeks weve had the seat it has worked really well. Seems comfortable and my daughter likes it. This seat is Toddler approved. She's told me that it is very comfortable, and really likes the dual cup holders. Dad likes that it is very easy to get her in / out of. He also really likes the level guide to let him know the seat is properly installed. Only one wish would be that the anchor clips have a tighten system on both straps like her previous Chicco seat. Excellent car seat for my 2.5 year old! I have a tall but tiny one who wants to â€œdo it herselfâ€, so thatâ€™s what prompted my move from the Nextfit to the Myfit. 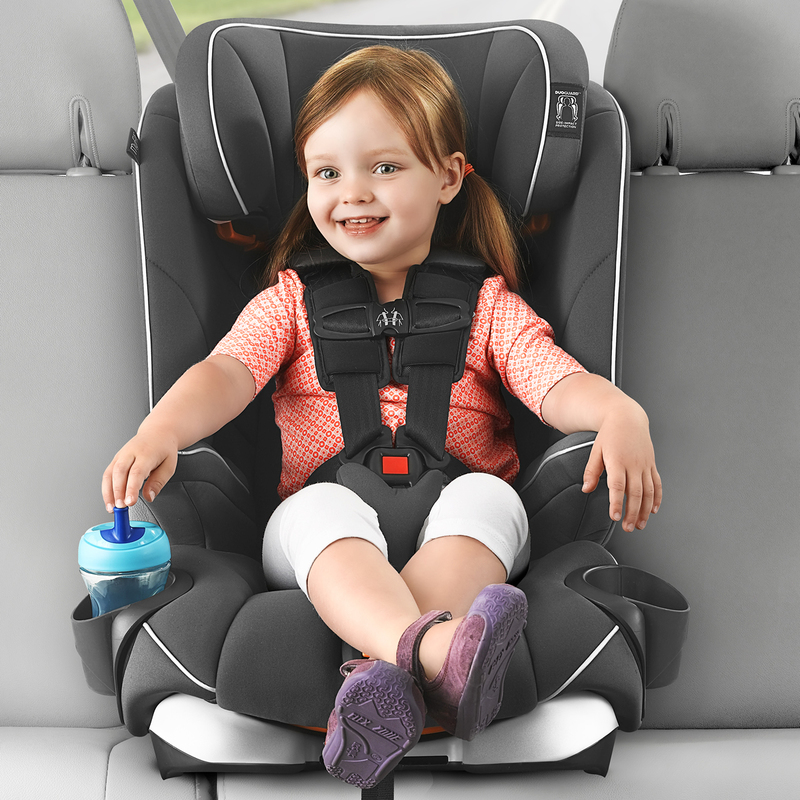 She feels like sheâ€™s in a big girl seat with all the comforts of a booster seat, but with all the safety of Chicco and a 5-point harness. I love that this will be the last seat she'll ever need. Not as cushy as the Nextfit, but still uses the memory foam for cushion. It looks great, isnâ€™t bulky (like our Britax Frontier), and for the price this is a great seat! When comparing to the Frontier, the install still requires you to crawl in and out of the seat for a proper install, so Britax Clicktight still holds the â€œeasiest installâ€ award, but my DD seems just as comfy in her Chicco. Very, very easy to move height up and down! I love that it has multiple recline positions, so my daughter's head won't slouch forward when she falls asleep. I love the carseat! At first my son didnt like the idea of getting a new carseat (hes 3 soon to be 4) but ever since hes been in it he has not complained he enjoys his carseat. We switched from the nextfit to my first. I'm glad we did. I love chicco! & thank you albeebaby for the unbeatable prices! We bought this first for my husband's vehicle and we liked it so much we bought a second one for my vehicle. I like that it has lots of padding that makes it look like it would make the seat more comfortable. My son is talk for his age but when he falls asleep in the car seat he tends to wake up with at least one leg that has fallen asleep. I don't know if this is from him not having enough of the seat resting in the correct location to where his legs naturally fall as he sits in the seat? Or if it is from the design of the car seat? This is the reason that I lowered my rating to 4 instead of 5. ConsChild's legs fall asleep when child falls asleep. Not sure if it is the design or if we need something different to attach to seat to give leg support. Iâ€™ve tried other car seats, but I always go back to chicco. My daughter has gone 3 already. Now 5yrs old we upgraded her to the MyFit and as expected itâ€™s a great car seat. Easy to use, to install, elegant and above all very comfortable. This is a very well made car seat for a good price. I bought this for my granddaughter. She had a smaller size Chicco car seat and it was very well made. I was looking for another one as she grows that can transition into a booster. I think we both will be happy with this one. ProsSturdy, heavier car seat with lots of padding. Such an easy seat to bring toddler in and out of. Comfortable to take a nap. Latch a bit of a pain but definitely manageable! Fits great in my husband's Ford F-150 the car seat I had Pryer didn't fit as well. Since this car seat can adjust to the seat of your vehicle it helped it fit better in his truck. ProsSeems very cushiony and comfortable for the kids. 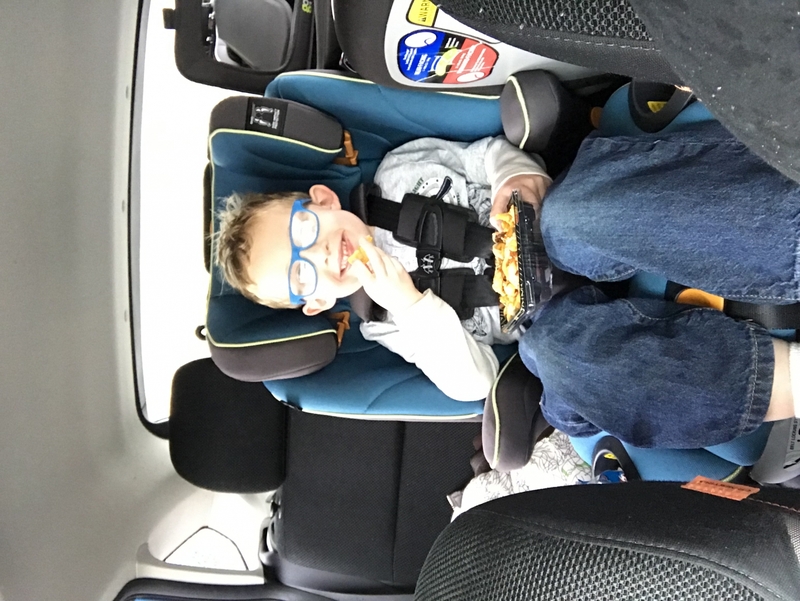 Our son find this car seat to be comfy and we love how narrow it is! 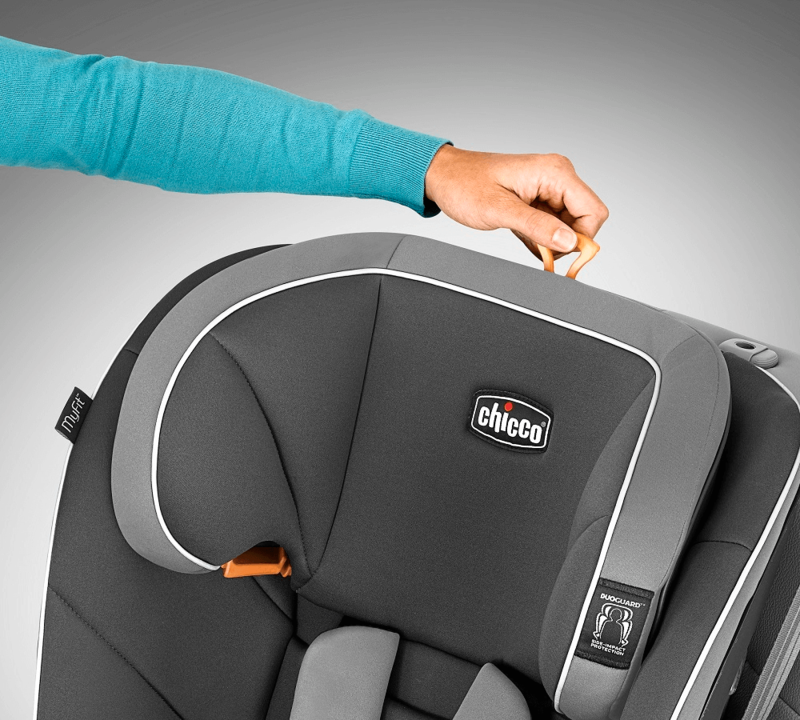 Chicco is the greatest value for parents on the market. We started with the key fit and loved how easy and safe it was, and the MyFit is just a good. Look no where else this is the seat to have. Affordable, comfortable, safe, and best of all easy to use lock and strap system. This is the second Myfit I've purchased in the last year. I bought one for my older child last year and then my four year old this year so I could switch her to front facing. They're comfy, narrow, easy to install and beat of all they're long lasting. I have had this seat for a few weeks and have no complaints so far. My son loves the colors. We have had this seat for a couple of weeks and like everything about it so far. The only complaint I have it trying to figure out how to move the bottom buckle to the outer position. We have bought two of these car seats to upgrade from the Nextfits. Both my boys love them and feel more like a big kid in them. They say they are comfortable. We like how they take up less room and fit our car better. We will be buying one when our daughter is older. Our smaller 18-month old was still in an infant carrier in one of our cars - but she had CLEARLY outgrown the functionality of the seat. On a whim I started researching the best harness-to-booster seats for our car and lifestyle. This Chicco seat was not only a GREAT deal financially, but we are thrilled with its functionality. The 5-point harness never tangles or gets lost in the crease of the seat. The seat is stylish, sturdy and will last us a long time, as it converts to a lap belt booster when the time is right. I would recommend this seat to friends and family in a heartbeat - and the price and prompt shipping from Albee Baby just sweetens the deal! Love the car seat and my Granddaughter loves the color!!! ProsI would recommend it to everyone!! Best UsesI needed a new car seat and my Son needed an upgrade so I purchased him one also!! I just purchased this seat for the second time because we purchased a second car and needed an additional seat. The fabric is very durable and easy to clean. 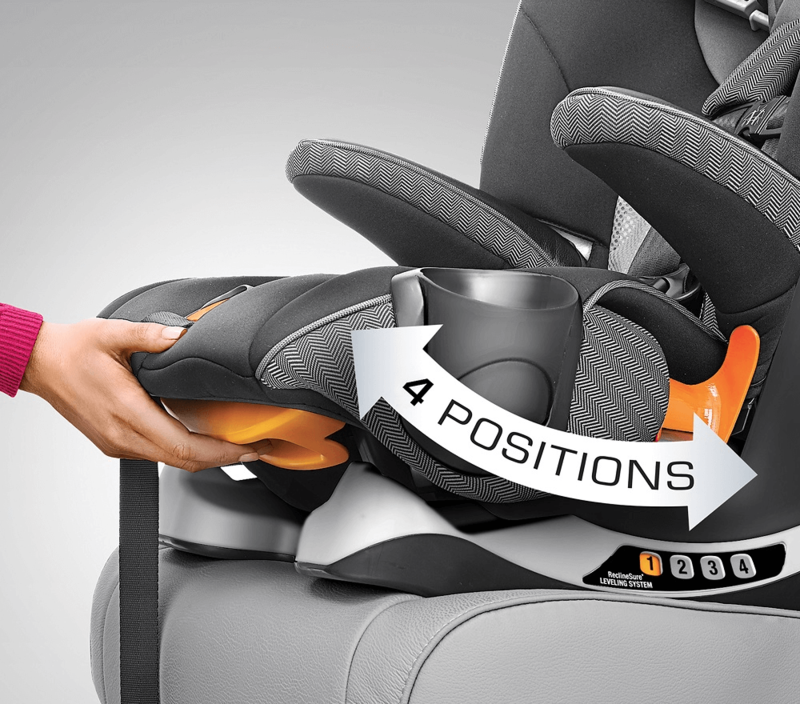 The padding is comfortable for my children and they love the close proximity of the cup holders for them to use. When we needed our very first high back booster I had to go with a Graco seat because Chicco didn't make one at the time. I was so happy to go back to Chicco because installation of these seats is so much easier. The latching mechanisms the attach to yours cars seats is east to clip on, and even easier to take off by just the push of a button. I cannot say the same for the Graco seat with metal clamping style hooks. Highly recommend this seat! Was looking for another car seat my granddaughter could grow into. 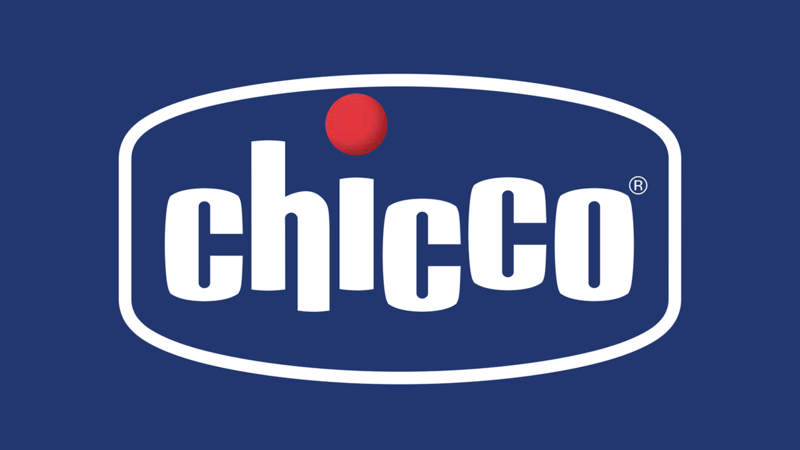 The Chicco name is very familiar to our family, so there was no other choice as far as reputation and previous experience with safety and comfort. 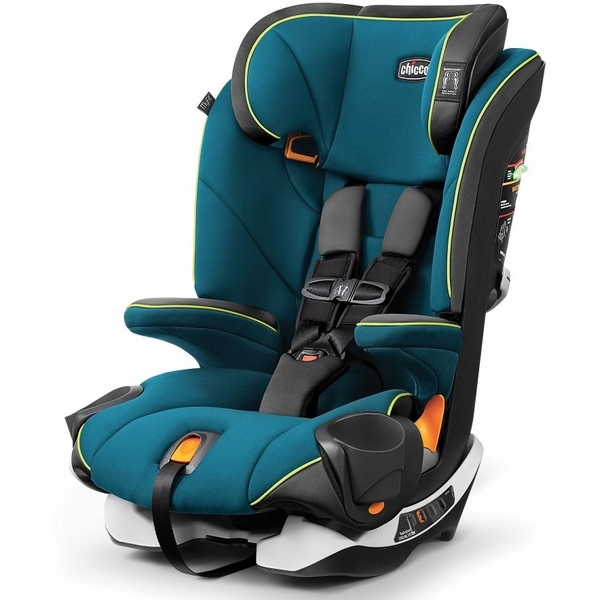 The MyFit harness and booster seat filled the bill for my granddaughter. She seems comfortable now in it, and it will be perfect for the next transition. Durable and easy to clean. The cup holders are an added bonus! I purchased this carseat after endless research and reading reviews on all my top choices. 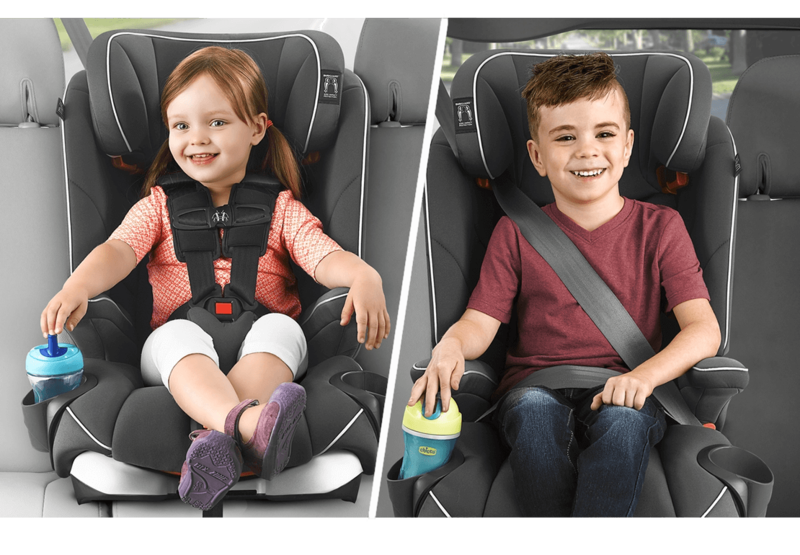 I have previously owned Britax Frontier carseats for my older kids and absolutely loved how safe and well made they were. This time around I didn't want to pay such a hefty price. I must say the Chicco myFit exceeded my expectations! It is just as well made and sturdy as the Britax. It is easy to move from car to car. My son loves the dual cup holders and is easy to take the covers off to wash. I am very happy and satisfied with my choice! Definitely recommend!! This was a gift. However, they haven't complained about any issues. Also, niece loves it. This was a replacement of an older booster type seat. Quick and easy to install. The straps adjust smoothly. Our previous car seat, was very difficult to release the shoulder straps and retighten them each time we put my son in it. It arrived on time. easy to install. Fits on my 3rd row of my Toyota Highlander. Love the design and easy to remove cup holders for cleaning. Doesnâ€™t take up much space. My daughter seems comfortable and even though we havenâ€™t had a long road trip. She hasnâ€™t complain after 4 hours drive. I recently bought this car seat to replace my Graco Extend to Fit! Best decision ever! Everything about the Chicco is better! My son wouldnâ€™t stay put in regular booster seat so we had to switch back to a harness belt...he loves this seat! Itâ€™s very comfortable and we love that it declines as well. It doesnâ€™t make him feel like heâ€™s in a baby car seat yet provides the safety we need! Very happy customer!! This seat is so much more comfortable than any other one weâ€™ve tried. They are practical and functional! We love them! 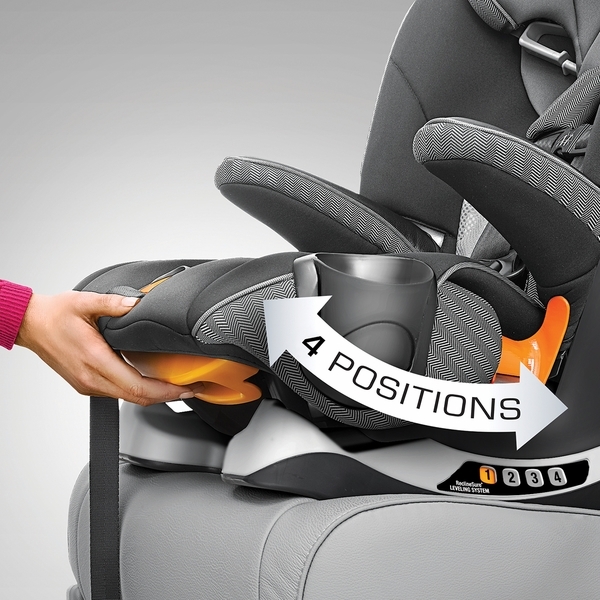 We love this carseat. Super easy install and keeps our kiddo safe! We only use Chicco products. 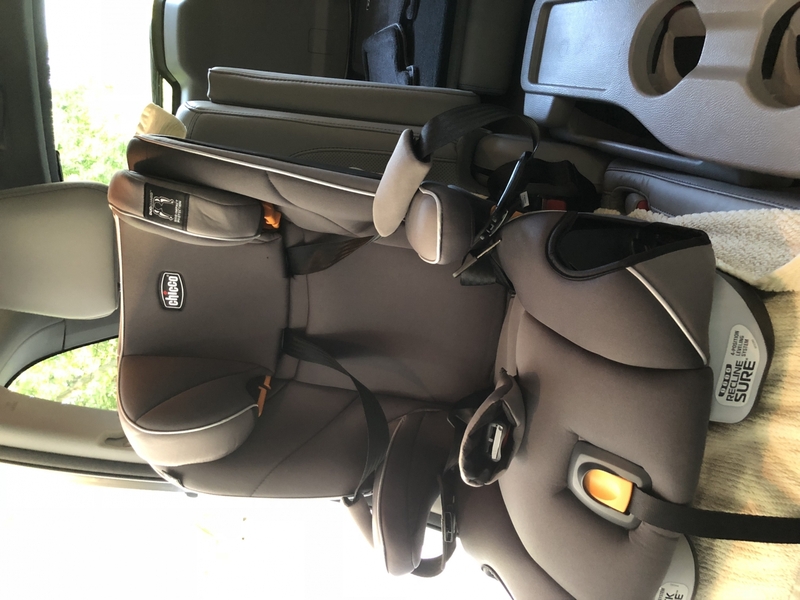 I have been a loyal Britax customer since my first child was born over six years ago but this seat has made me a huge fan of Chicco car seats. 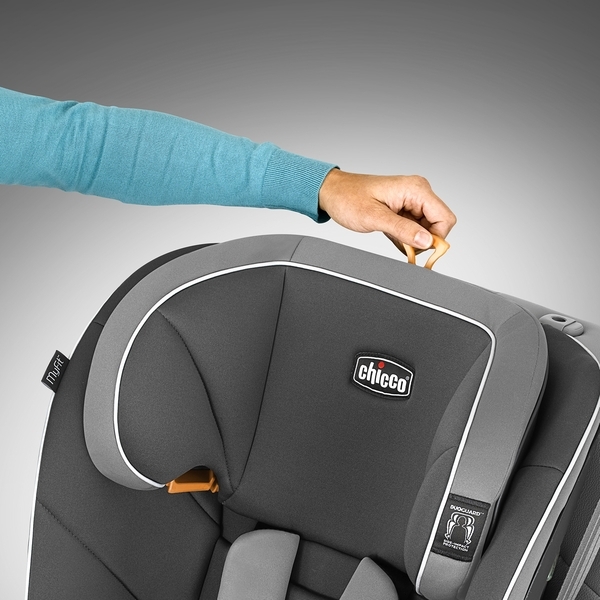 I needed the ability to fit 3 car seats in a row and bought Chicco because of its seat width, price point, and popularity with car seat installers. What really made me a fan though was the first time I buckled my daughter in and tightened the harness. It was like butter it was so easy! With our Britax seats I have always had to jerk the strap or pull super hard to tighten the harness enough. No jerking with the Chicco. 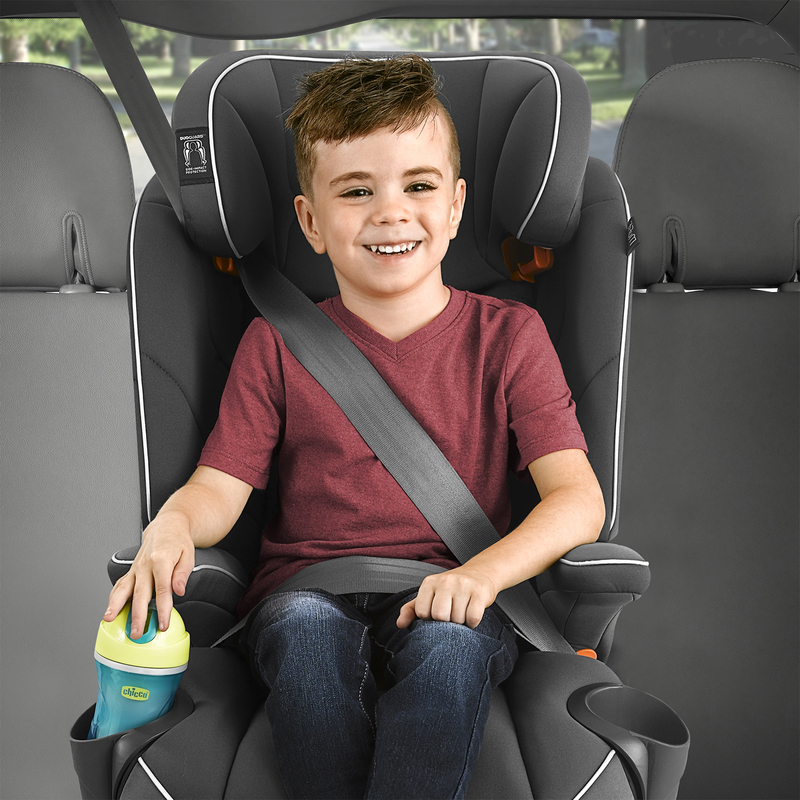 I will be buying another one of these for my son so we can put his larger harness-to-booster seat in Grandma's car. I would definitely recommend this seat to another parent! My daughter is in the 50% for height and weight at 4 years old and I can see how this seat would not work for kiddos who are much bigger at the same age. She really likes the seat and is comfortable in it. Be sure to look up the installation video on youtube to make installation easier. 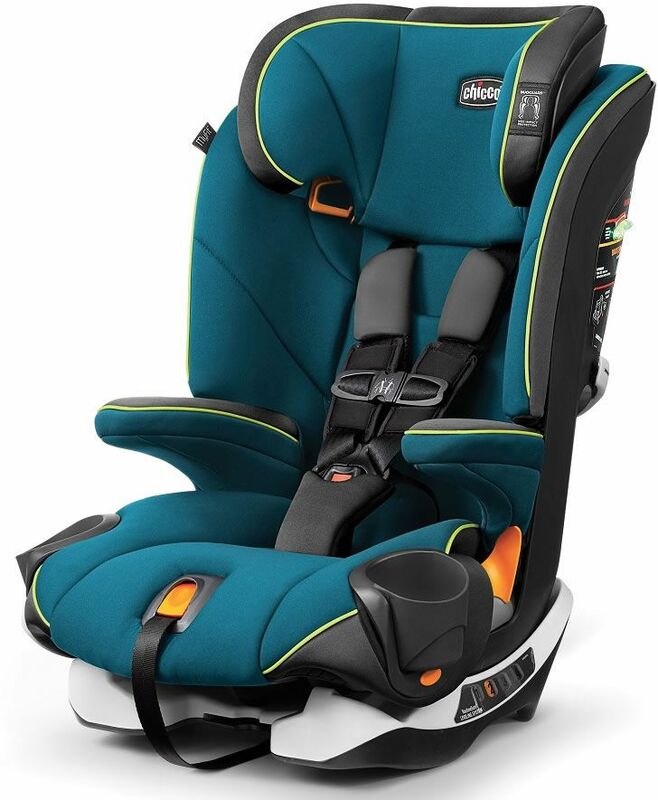 We have always had Chicco car seats, so when I came accross this, I had no doubt weâ€™d love it! We were just going to start forward facing our four year old and wanted something that was easy for her to get in and out of by herself. She got to pick her color, and she loves it as well! ProsComfortable. So easy to install. Easy Install, My Daughter Loves It. I just bought this seat to replace our Britax Marathon's. We regularly take other kids with us so we bought 4. We keep two in each vehicle. We have a 2011 Ford F250 and a 2013 Toyota Sienna. Our daughter is 5 and 40+ lbs so we use the seat belt to secure the car seat and have never used the LATCH system so I cannot review the functionality of that part of the seat. Now you have some background info, unboxing is uneventful and the seat is assembled and ready to install. It has a nice place to store the LATCH belts when not in use so i tucked those away. The recline feature has 4 settings and we use setting 4 in my truck and setting 3 in the van. It is easy enough to get the seats tight in either vehicle, the lock off system is better than a GRACO Nautilis 65 we own as well. The other seat we loved but is no longer available is a recaro "sport some thing" but it does not offer cup holders. Anyways, my daughter loves it and enjoys riding in it. We have another 5 year old that is with us probably half the week and she lives with her grand parents that allow her to sit in a backless booster and just a belt routing booster even though she is 43" and just above 40lbs, ugh. But she likes these seats better than the backless booster and belt routing booster. Best overall price compared to other stores. My 3 year old loves his new big boy seat. Very functional, seems comfortable. This car seat helped to save my kiddos life. I am so incredibly happy I bought it. We were recently hit by a drunk driver, on my daughter's side of the vehicle. The car seat did its job and kept her safe. I am so thankful and would recommend this to any and everyone. Job well done Chicco. Iâ€™ve had Chicco safety seats since my son was born. With his new brother, we wanted to move him to a booster and use the Nextfit for the baby. After a lot of research I decided on the MyFit. The secure 5 point harness and classic Chicco install options made it an awesome fit for him. Heâ€™s 5.5 years old and loves it! Heâ€™s even mastered buckling himself in with it. ProsComfortable and padded for the little one. Secure 5 point harness system. Correct installation is simple. Built in seatbelt lock. Two flexible cup holders. Padded armrests. Additional upper head support in case of an accident. ConsI didn?t realize this version didn?t come with the LATCH super cinch like the other Chicco seats do. They do make that one. It ended up working out though because we installed with the shoulder belt with built in lock and have less than 1/4 inch possible movement in any direction. 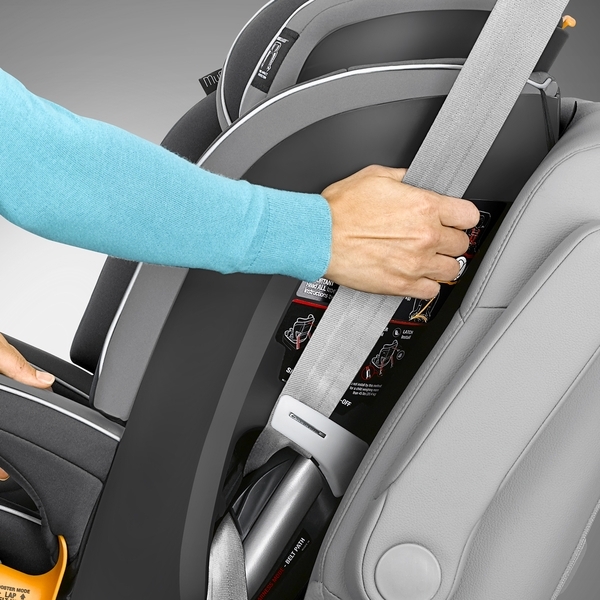 Best UsesPerfect for the kid who is growing out of the Convertible and ready for a secure high back booster. We bought this as an additional carseat. It is heavier than our original carseat purchase (the maxi cosi pria), but it's relatively easy to install, and my daughter loves it (as she was able to pick out her color). 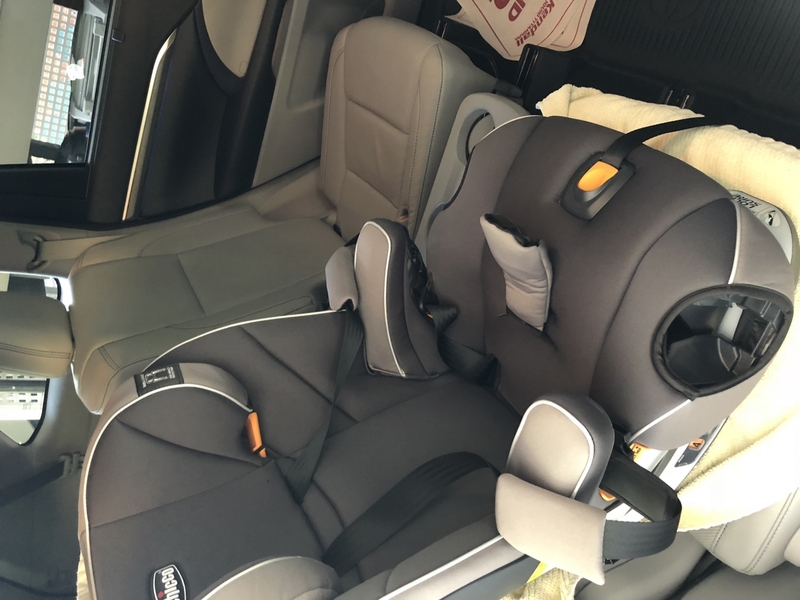 We do not intend to remove this carseat for travel, and we are glad that we will be able to use it for many years to come, as it adjusts to child growth easily. Easy to install and easy to get my child in and out of the seat, plus he loves it! Great purchase. We have a 3 across situation.... and this seat is IDEAL for that set up. it is easy to loosen and tighten! I highly recommend. The seat is very high quality. 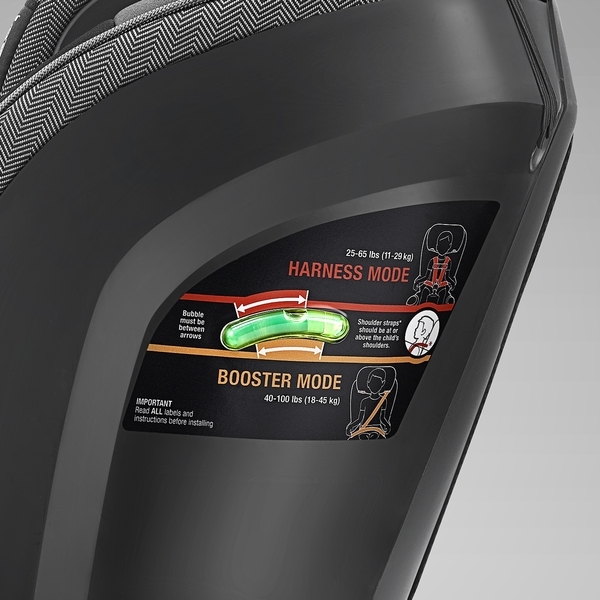 The straps and head rest are easy to adjust. My only issue was the weight of the seat. It wouldn't be a seat for someone who needs to move from car to car. It is very heavy and tall. ConsSo so heavy Very tall and difficult to place in the back row of a van. Best UsesThis is the perfect deat if you won't need to move it between cars. This car seat is comfortable. Super easy to install! I love that the latch is easily store away in the seat base. Cup holders are awesome and handy since they can be squished. I have this is the center seat of my highlander next to a maxi cosi rear facing with my 1.5 yr old. It does carry over a bit to the other seat in that row but I think itâ€™s more because of the infant seat than this one. Overall super happy to find a comfortable easy to install harness to booster so I can keep my daughter in the harness as long as possible. Safety is big for me and this seat is perfect! 3rd Chicco and couldn't be happier!!! This is the 3rd Chicco carseat that we've purchased for our daughter. Their products are extremely durable and easy to install. We plan to use it for our son after she outgrows it! Great car seat - highly recommended!!! We purchased this car seat for our daughter. Both she and we love it! It's fully adjustable, has much padding, and can be used comfortably in a minivan or CRV. Very heavy car seat. Doesn't feel cheap and it has a lot of cushion. My son loves it. Great deal on this also. Since we purchased a new SUV, we decided to get a booster seat for it. We already had a Chicco seat in one of our SUVs, so I knew Chicco was what I wanted. Our granddaughter is very small for her age, so I love how this one can go from harness mode to the booster mode later on. We have been very pleased with our other Chicco seat; easy to take off and wash the cover. I love how easy it is to adjust the straps when she has on a bulky coat. Installation is very easy also. Is the car seat cover removable and able to be washed in a washer? 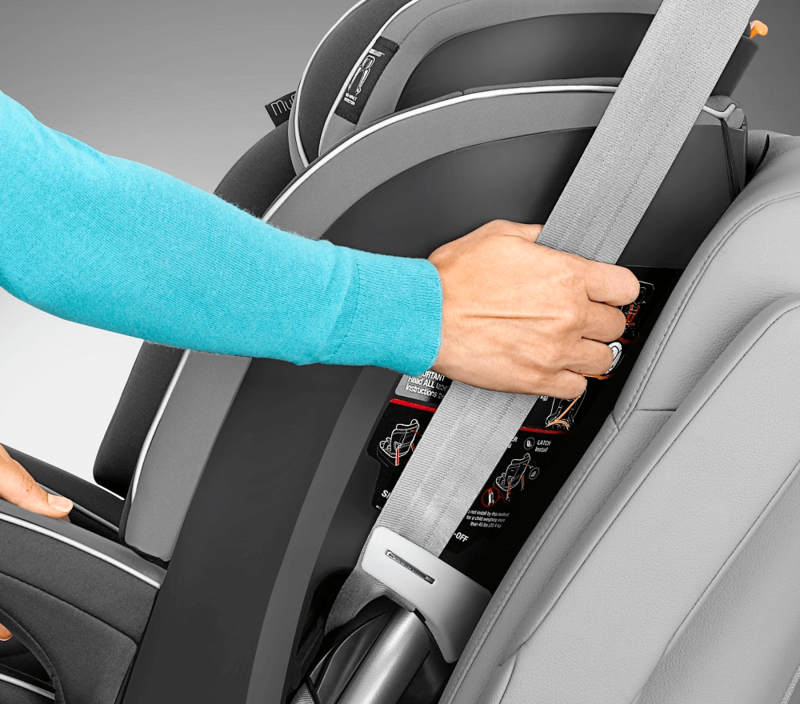 Easy routing and lock-offs simplify installation with the vehicle seatbelt.